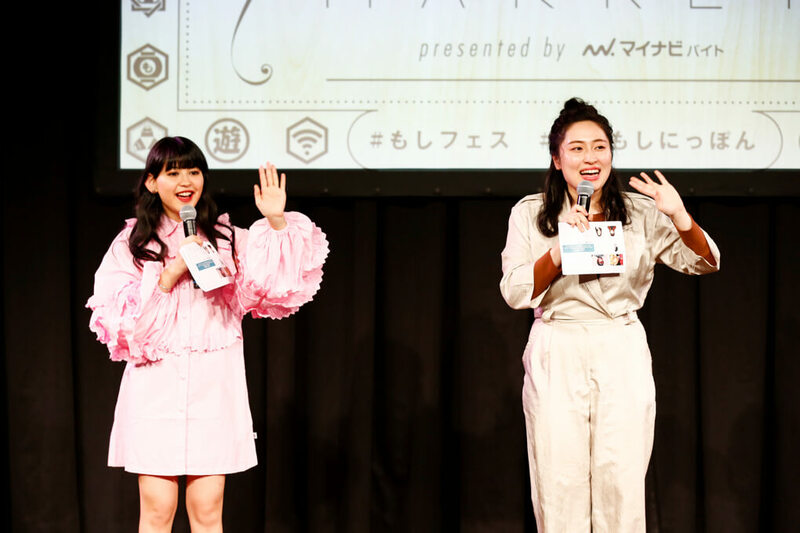 MOSHI MOSHI NIPPON FESTIVAL 2018 in SHIBUYA is currently being held across Saturday March 24 and Sunday March 25, serving Japanese culture to the world from Shibuya. Day one ended with huge success. Laforet Museum Harajuku, one of the four areas of the festival, was home to the Harajuku Kawaii Market take place, an event themed on the concept of “Find Japanese Kawaii♡”. The market was lined with a whole host of booths where people got up close with Japanese fashion, beauty, fortune-telling, DIY and more. But that’s not all. 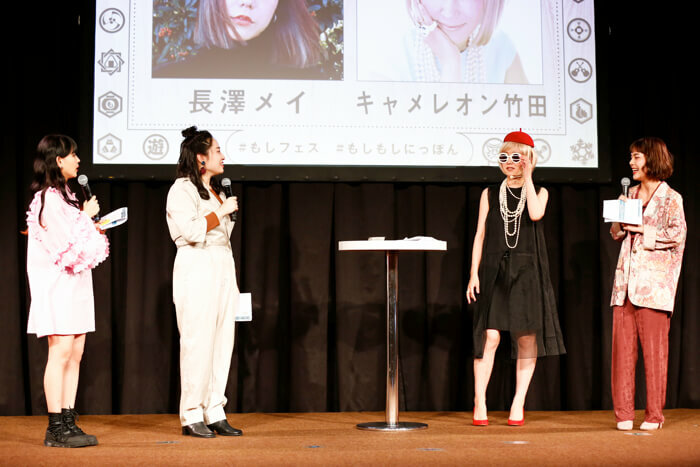 The stage was graced by models heavily active in Harajuku-style fashion magazines, popular social media influencers, and others, all of whom shook the house. 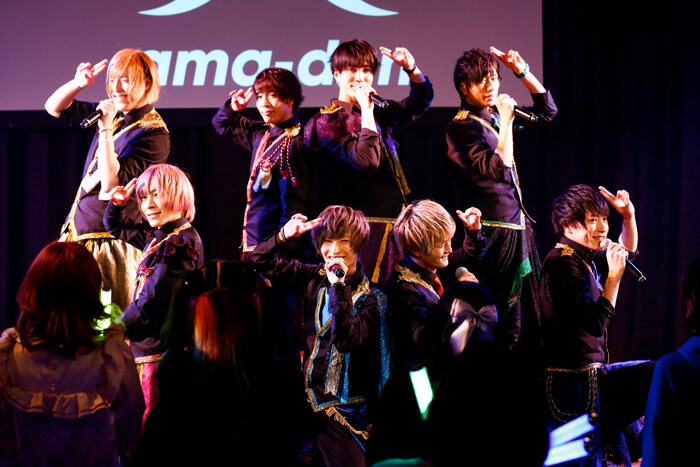 Kicking off the stage performances was none other than Amato Danshi, a six-member male idol group whose concept centres around sweets and candy. “We want to spread the greatness of sweets even more!” They sure weren’t lying with those words, as the guys surprised the audience by gifting everyone sweets during their set. Things got really exciting during their high-tempo track Shu Cream (“Cream Puffs”) as the crowd joined in with the group members in some seriously energetic dancing! With excitement still rippling through the room, “Mynavi Baito presents Challenge Award” was next on stage. 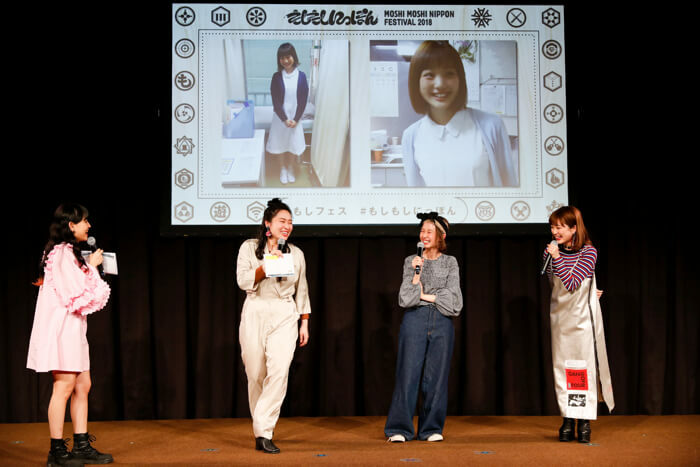 Nine fashion students were split into teams of three who were challenged to create cute part-time work outfits to promote to the world. 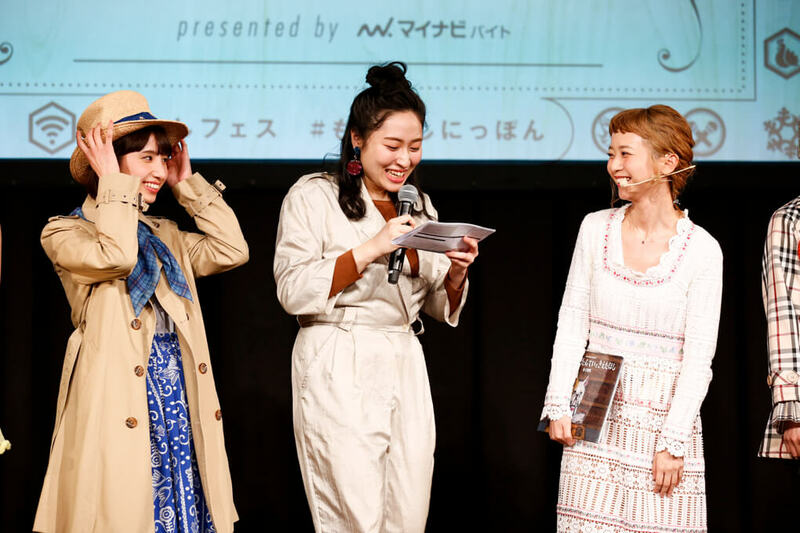 Yuri Suganuma, Mei Nagasawa and Anna Yano stepped out onto stage and presented the outfits by wearing them. 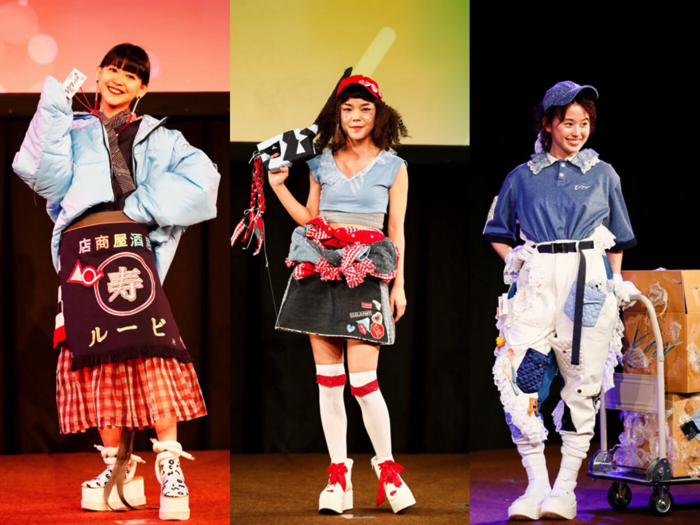 Team 95 created an izakaya outfit, Team Hikari produced a Gas Station uniform, and Team Twinkle served up moving-company couture. The audience were made to vote for a winner with a raise of hands. The winners of the Challenge Award were Team Twinkle and their mover outfit! They went away with a cash prize of ￥100,000. Tears were even seen from the team upon hearing the announcement. 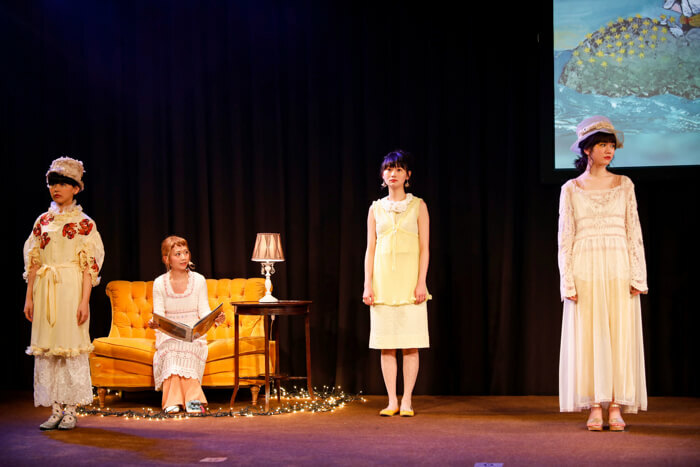 It was a moving stage event – you could see their passion and how hard they had all worked. 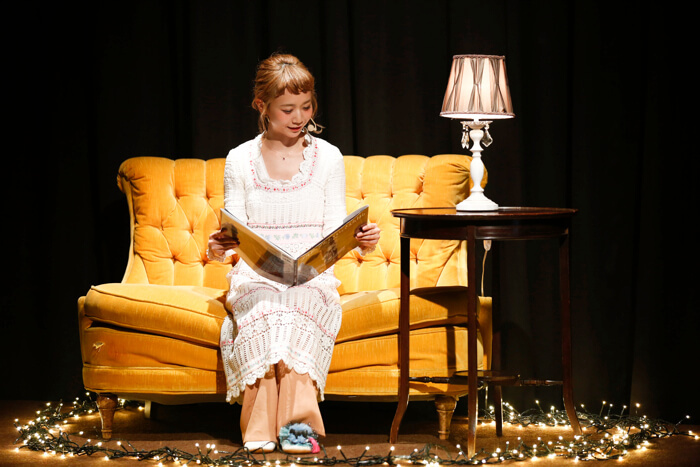 Natsume Mito put on her fashion show where the tender and slightly mysterious world of Tomonori Taniguchi’s picture book Bulldog Tantei to Kieta Hoshi (BUNKEI Co., LTD.) was brought to life with performances from Japanese models Akari Abe, Manaka Arai, Alice Ikeda, Anna Kawamura, Aino Kuribayashi, Saki Shibata, Yuri Suganuma, Ema Tanioku, Eri Tanioku, Chie Tsuji, Rinko Murata and Una while Natsume Mito read the book aloud. The first slot of performances came to a close and led into slot two. 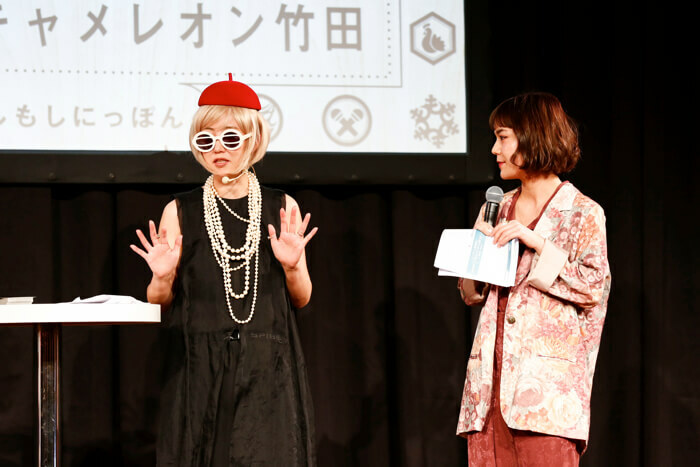 Youtuber Megane and models Yoshiaki and Michi were invited as guests for a talk session. They showed lots of private photos while giving backstory to each of them. They also blurted out frank insights into each of the pictures which had people in stiches. 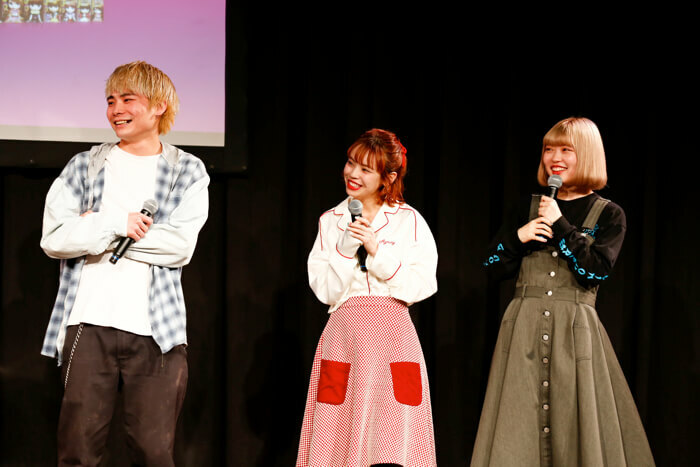 In a talk show with popular illustrator Fusedy and Koseki Ren, the two of them gave their cherished opinions of the topic of romance. It was very much a talk between two people who have known each other for 4 years. They were on the same wavelength. It was a girl-talk which showed no sign of stopping as they chatted with plenty of “I know, right!” and “Tell me about it!” moments as Ren empathised with the contents of Fusedy’s book. 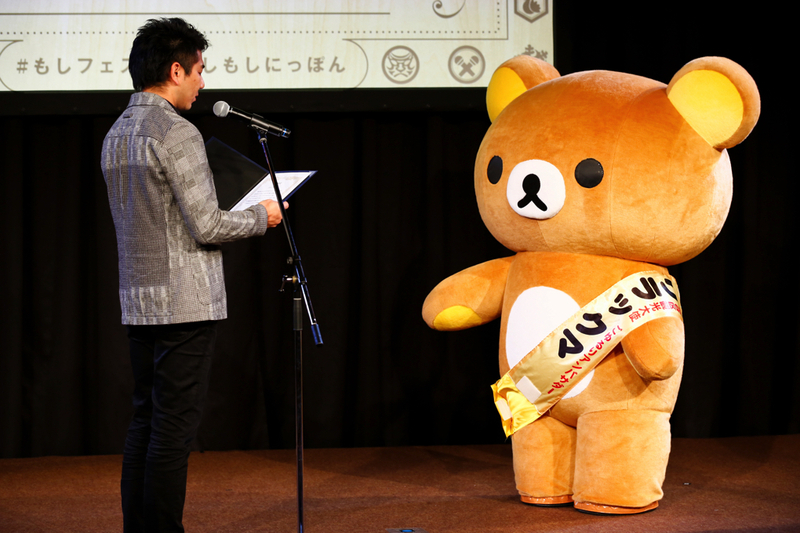 Next on stage was none other than Rilakkuma! 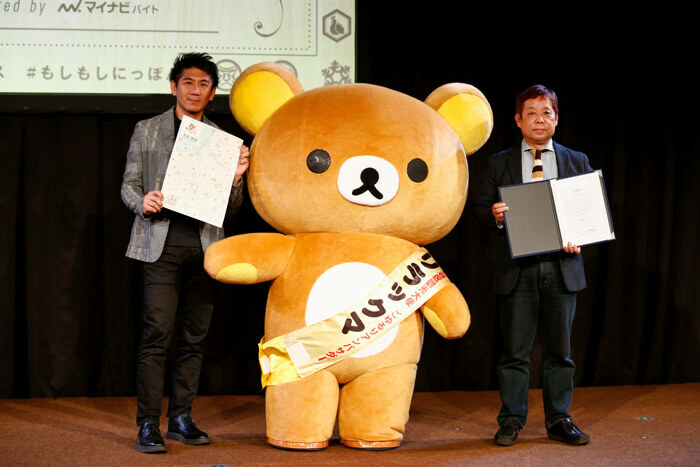 To realise Shibuya’s recent appointment as a city for international tourism and culture, an inauguration ceremony was held on stage to name Rilakkuma an official Shibuya Tourism Ambassador! With three more stage events wrapped up, it was time to move on to slot three. 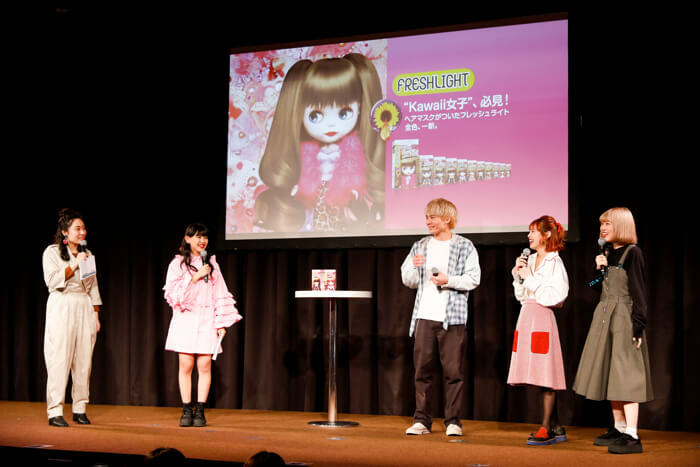 The first of the performances was the “Fashion & Hair Dye Talk Session with Ren Koseki, Hikari Shibata, Yuri Suganuma, Ayumi Seto and MIZUKI (KORD)” presented by FRESHLIGHT. 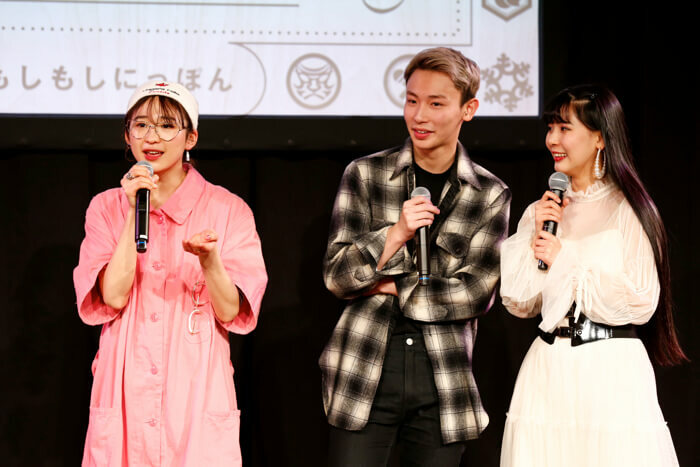 Popular models Ren Koseki and Ayumi Steo, as well as popular stylist MIZUKI (KORD), chatted about their experiences with dyeing their hair, recommended hair colours for spring, and more. that when it comes to spring, it’s all about warm colours. When you want to shake things up a bit for going out during spring break, why not go for an easy and comfortable image change with hair dyes from FRESHLIGHT? In the second half of the show, Chamereon Takeda also announced the rankings for love compatibility for each zodiac sign. Coming in 1st place was the Taurus! The scene of people devouring the demonstration was a sight to behold – as if people really wanted to hear their destinies. 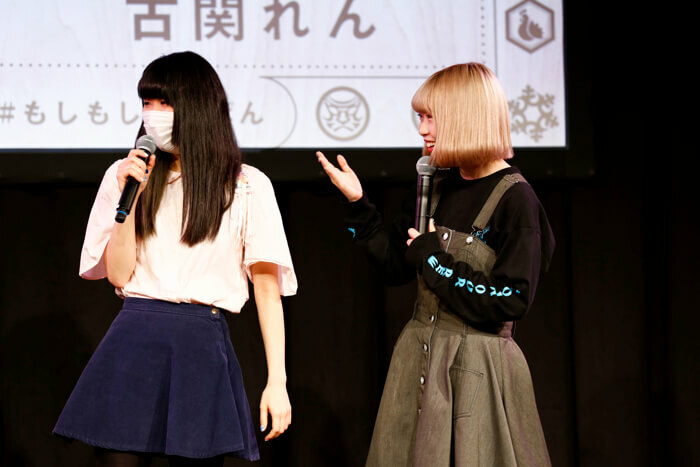 The final act of day one was a talk session with Saki Shibata, Ayaka Segawa, and Rei Maruyama. The three of them work as a model, artist & nurse, and performer respectively. Their open and honest discussion focuses on their careers. The conversation got pretty lively as expected from three friends! That’s it for day one at Harajuku Kawaii Market. Look forward to the performances on stage on day two!